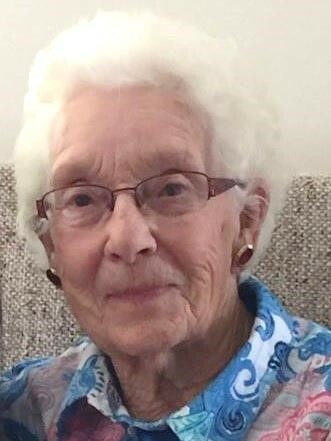 Mom passed away peacefully on January 19, 2019 surrounded by the love of her family. Mom is survived by her children, Melinda (Murray), June (John), Joan (Calvin), Ken (Marilyn), grandchildren and great grandchildren, sister, Yolanda McRurie, sister in law Frieda Bolingbroke and numerous family members and friends; who all meant the world to mom. Mom was predeceased by her loving husband, of 69 years, Julius, on December 31, 2018; her parents, Roy and Evelyn (Schuster) Bolingbroke; brother Clifford Bolingbroke and brother in law Dave McRurie. Mom had many talents. Crocheting, crafts, baking, book keeping, gardening to name a few and helping anyone who needed the support. Mom’s love was always unconditional. Cremation has taken place and a celebration of mom and dad’s life (Irma and Julius) will be held on Friday, January 25, 2019 in Sacred Heart Catholic Church, Lebret, Saskatchewan at 11:00 am with Father Adelberto (Bert) Lillo presiding. Inurnment in Lebret Cemetery. In lieu of flowers, please make a donation in mom’s memory to the Alzheimer Society of Saskatchewan, 301- 2550 – 12th Ave, Regina, SK S4P 3X1.